John Pipkin the father had apparently started some kind of store on his land that joined the Somerton-Winton Road. This land was either inherited by Isaac or bought from his brothers. This store was a landmark. 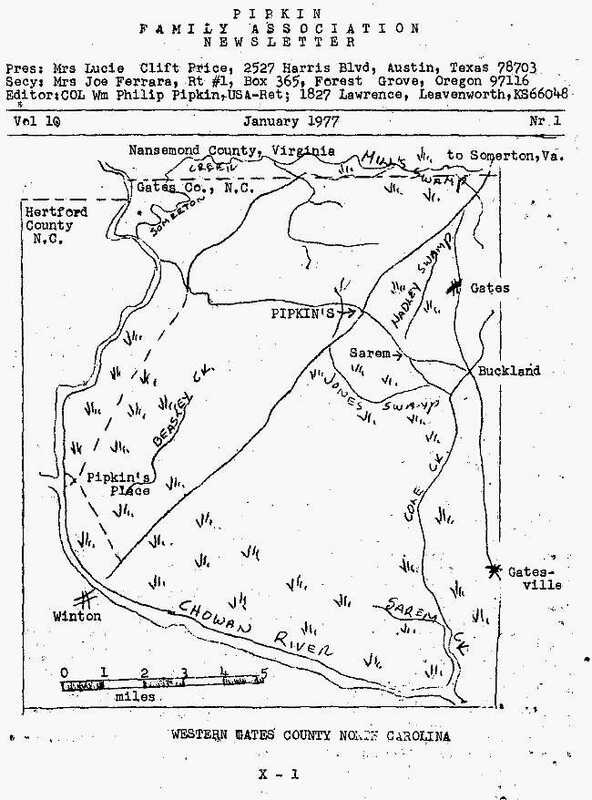 "In 1758 a second post route in North Carolina was established from Suffolk, VA by way of Edenton and New Bern to Wilmington and it passed through Gates. In all probability this route went via Somerton, Tanner and by Pipkin's store. 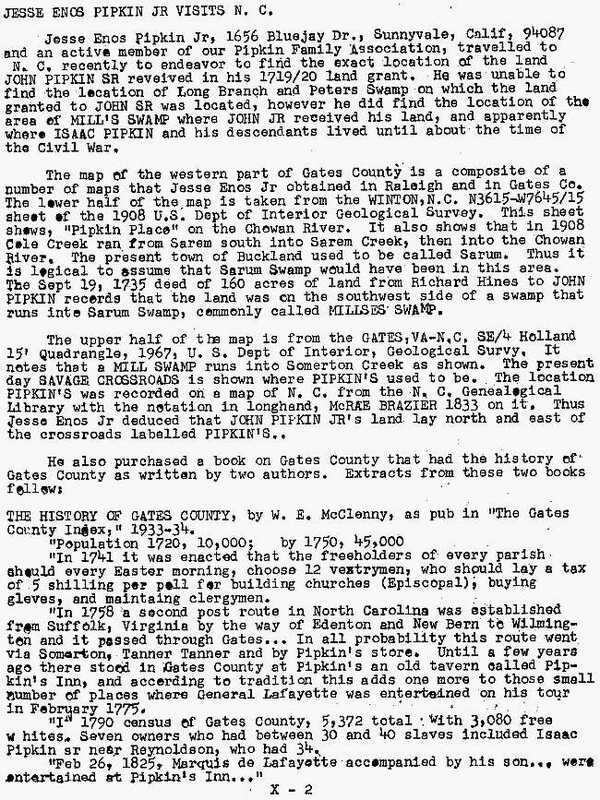 Until a few years ago there stood in Gates County at Pipkin's an old tavern called Pipkin's Inn, and according to tradition this adds ome more to those small number of places where General Lafayette was entertained on his tour in February 1775".